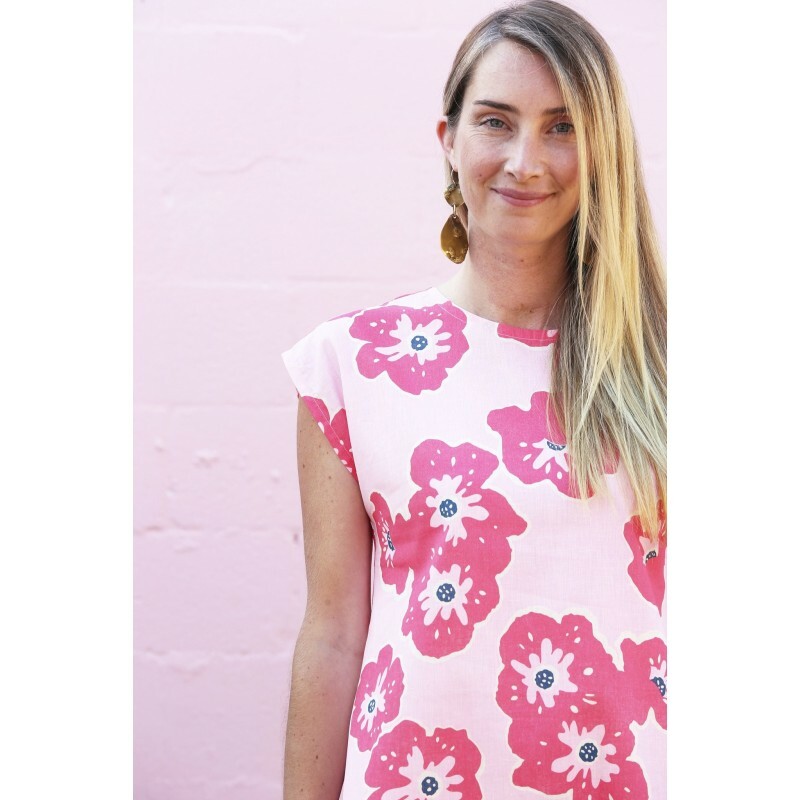 Bold blooms abound in our bright pink vintage Poppy Print, on a soft blush base. The A-Line silhouette has been carefully crafted to fit and flatter most body shapes. Side seams subtly wrap around the dress, creating slightly more fullness in the back; visually slimming the waist and flattering the hips. Perfect for summer! 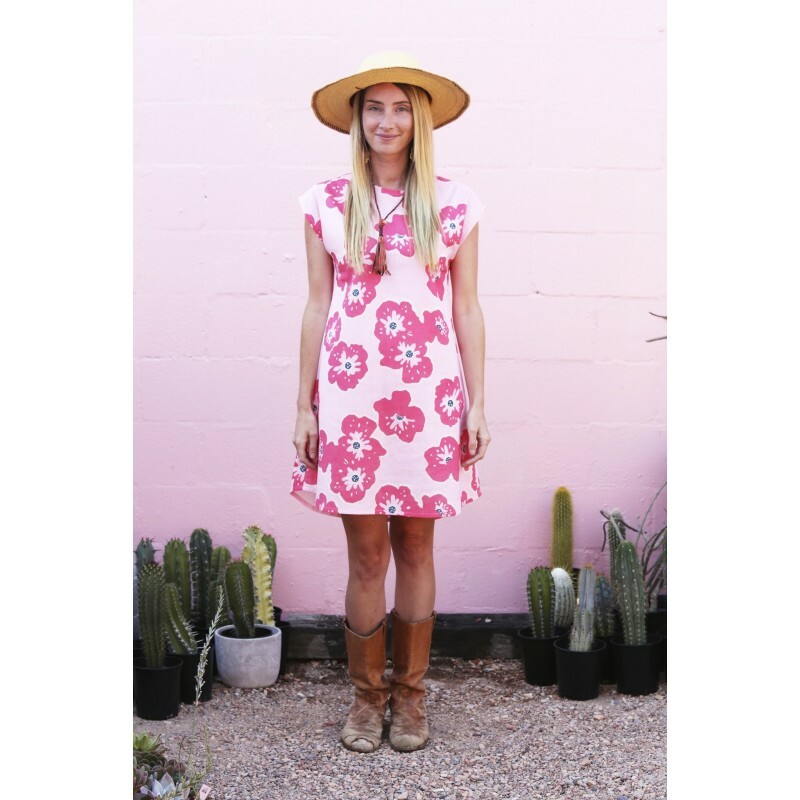 Nya is an ethical clothing brand with a difference, with a purpose & passion to create beautiful print garments in a socially conscious & environmentally friendly way. "We have travelled the world whilst working for well-known fashion brands and have seen for ourselves the devastating environmental impact the fashion industry causes. Nya is excited to offer an alternative to high volume, mass-produced clothing, in timeless flattering silhouettes. We look beyond fashion trends and aim to create collectable pieces to be enjoyed for years to come. We live and work beside the sea, on Victoria's wild and beautiful Surf Coast, which is a constant source of inspiration. Our base fabrics are sourced from natural sustainable crops, using GOTS certified Organic Cotton and Hemp. All our prints are hand drawn; being inspired by intricate patterns found in nature, infused with a passion for vintage colour combination and form. We have chosen traditional screen-printing methods using the safest non-toxic water based pigment inks available. This ensures we can achieve amazing vibrant colours on our natural fabric base, without compromising the hand feel. Each collection is unique with a limited run of garments produced at a time. 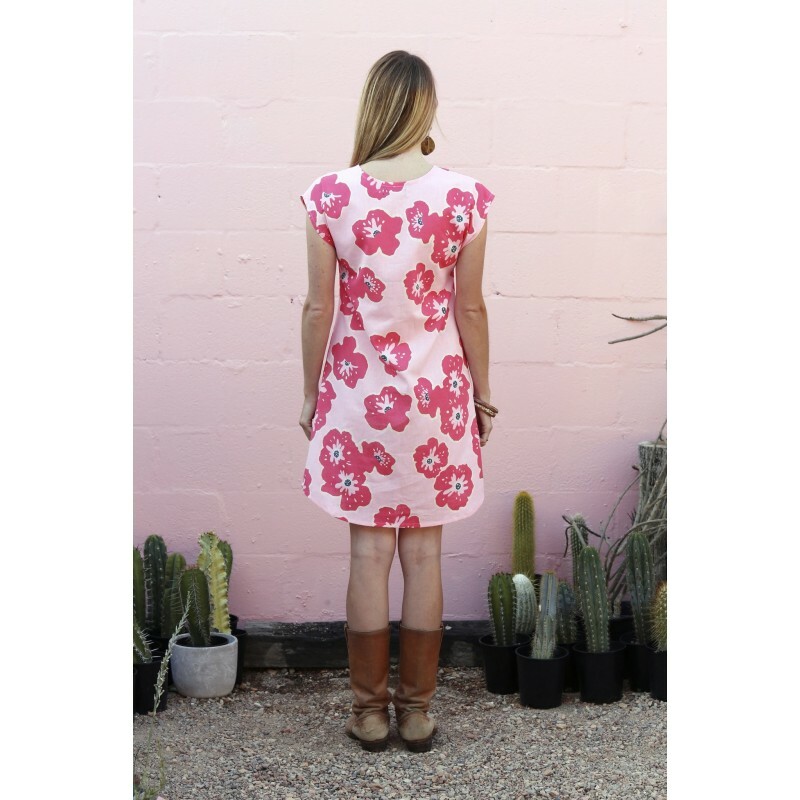 Nya is 100% Australian Made and proudly accredited by Ethical Clothing Australia. By wearing a Nya garment you are choosing to be socially responsible, showing you care about making a difference and joining our quest to create a better future for us all! SHIPPING: Please allow 2-3 days for this item to be shipped as it will be coming directly from Nya Ethical. Fabric hand feel is similar to cotton/linen, being a perfect trans-seasonal weight. It has a bit of structure that falls elegantly over the body. Comfortable, breathable and very durable. Layer up with boots and knits for cooler days, or sandals in the sun. Sizing: Model is 176cm tall and wearing a size Small. 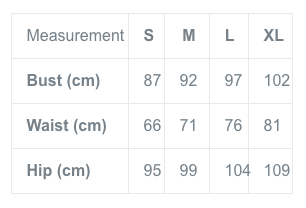 Please use the following as a guide to help you decide which size to purchase. 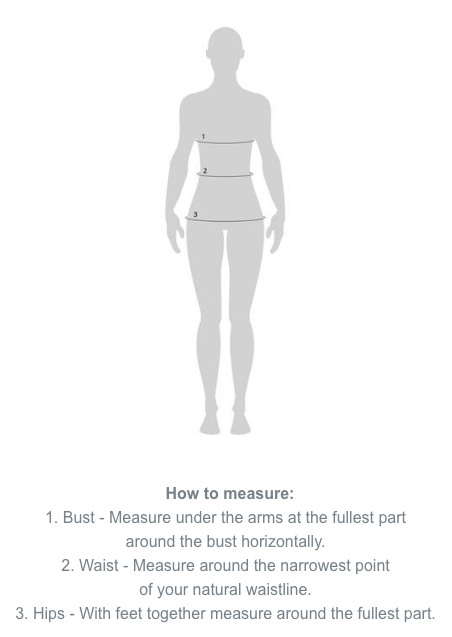 (Note: values given are body measurements). We recommended that you compare the measurements with your own to choose which is the best size for you. Cold hand wash separately, inside out. Do not spin, do not bleach. Drip dry in shade. Do not tumble dry. Warm steam iron. Dry cleanable.